I'm A Celebrity viewers said they were ‘screaming’ with laughter as Harry Redknapp confessed he thought he would be fed bacon sandwiches in the jungle. 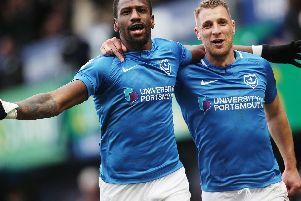 The former Pompey manager entered the camp as the series got under way on Sunday night and was shocked at the basic conditions, saying he thought it would be ‘a lot more luxurious’. He looked horrified when he heard emu was on the menu for dinner, saying he did not think he could eat it, particularly as he had been a fan of Rod Hull and Emu. ‘I thought there was a caravan round the back here where they were doing bacon sandwiches,’ he said. Viewers thought Redknapp's comments were hilarious. ‘Oi my man Harry Redknapp really thought there was a caravan that did bacon butties I'm howling," said one person on Twitter. ‘Screaming at Harry redknapp thinking there was a “caravan at the back that made bacon sandwiches” hahahahaha," said another. ‘”Thought it would be more luxurious than this” Has Harry Redknapp been in a coma for the past 10 years?’ asked another. I'm A Celebrity... Get Me Out Of Here! continues on ITV.